According to the American Cetacean Society, Los Angeles Gray Whale Census and Behavior Project, which for 32 years has monitored the number of whales passing by the Palos Verdes Peninsula, a record number of whales have migrating south past Southern California from the Arctic this season. The project counted 504 whales heading south, more than any year heretofore. Those 504 whales only included whales apparent to the naked eye, but that number surpasses the number of whales counted for an entire season in 11 of the 31 years. During this migration season extends between November to January, an estimated 15,000 gray whales swim from the Arctic to Baja California. The return north with new born babies from February – April. Check out this cool aerial footage of a newborn gray whale and its mother off of Southern California. Check out Baja Airventures – Best of Baja’s Whales, Dolphins & Sea Lions tours here. This is a 6-day all-inclusive whale watching trip departing from San Diego by private air carriage that includes Baja whale watching on both the Pacific Ocean AND staying in the the award winning Las Animas Ecolodge on the Sea of Cortez. All in one trip. No other whale watching tour operator has a trip like this. period. Lucky whale watchers get the chance to meet a friendly pod of grey whales. These Baja Gray Whale Videos by wildlife photographer Mark Carwardine, used a drone give an aerial view, captured these magical moments in one of the famous lagoons along the Pacific coast of Baja California, Mexico. The enthusiastic animal lovers in the boat were also able to film their interactions with the grey whale mothers and their calves. The gray whales migrate from Canada and Alaska to these Pacific ocean lagoons to give birth, and some of the whales seek out human contact: you can pet whales! These Baja gray whale videos in Laguna Ojo de Libre (Scammons Lagoon) which is where Baja AirVentures’ does their “Best of Baja” whale watching trip. And with the doubling of whales seen migrating south as reported by the LA Times, you are sure to have amazing close encounters you have dreamed of. This is the ultimate whale watching experience for eco-adventure and nature seekers you’ll always fondly remember. 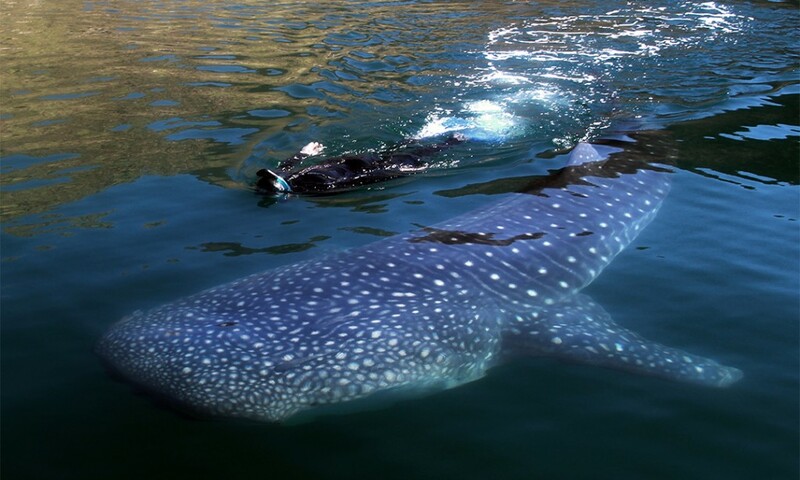 We also offer Baja Whale Shark Tours on the Sea of Cortez August through November. Here’s your best opportunity to view these gentle giants, so near to the US. Got Questions on Baja Whale Watching & Tours in Baja? Contact Kevin Warren at 800-221-9283, 1-619-421-2235 bajaair@cox.net for more info or make your booking today.